In a bustling laboratory at the Fuller E. Callaway Jr. Manufacturing Research Center, a researcher from the Georgia Tech School of Mechanical Engineering is using novel digital technology to cast complex metal parts directly from computer designs, dramatically reducing both development and manufacturing time. Nearby, at the School of Industrial and Systems Engineering, researchers are working with a large U.S. avionics maker to speed new product production using specialized software that automatically generates simulations of the manufacturing process. And across campus in the College of Architecture, a team is working with an international corporation on digital techniques that allow entire concrete walls to be custom-manufactured to architectural specifications. The Georgia Institute of Technology was founded in 1885 with a mandate to develop manufacturing capabilities in the state of Georgia. Today, researchers whose work directly supports manufacturers can be found throughout Georgia Tech’s academic colleges; in the Georgia Tech Research Institute, which focuses on applied research; and in the Enterprise Innovation Institute, which assists business and industry. Georgia Tech’s role in supporting industry was highlighted in June 2011 when President Barack Obama named Georgia Tech President G.P. “Bud” Peterson to the steering committee of the Advanced Manufacturing Partnership (AMP). Georgia Tech joined five other leading universities – the Massachusetts Institute of Technology, Carnegie Mellon University, Stanford University, the University of California Berkeley and the University of Michigan – in the AMP’s $500 million push to guide investment in emerging technologies, increase overall U.S. global competitiveness and boost the supply of high-quality manufacturing jobs. Advanced manufacturing involves not only new ways to manufacture existing products, but also the development of new products emerging from advanced technologies, observed Stephen E. Cross, Georgia Tech’s executive vice president for research. 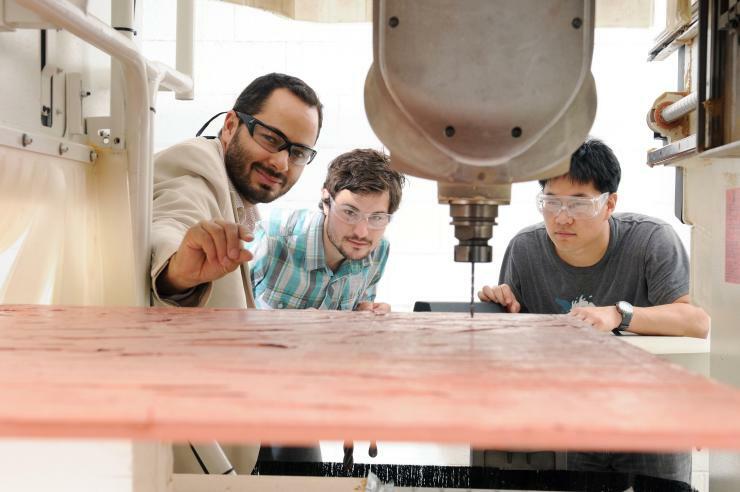 The university’s research initiatives on behalf of manufacturers are many and varied. These efforts include multiple areas of manufacturing-related research and involve collaboration across a variety of disciplines. 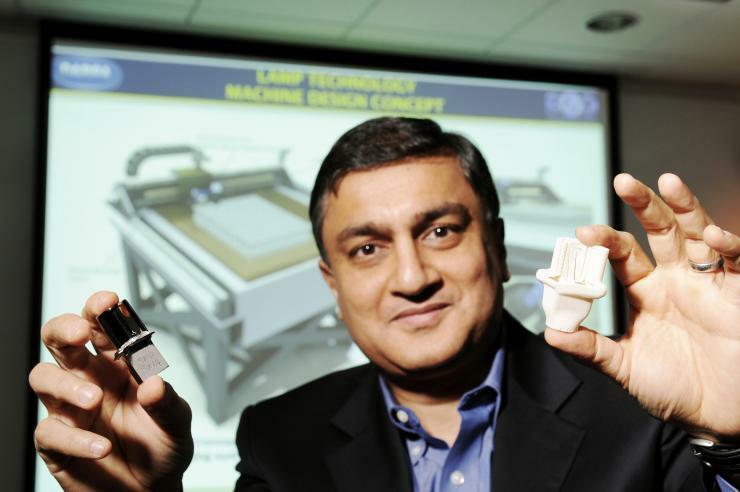 Suman Das, a professor in the George W. Woodruff School of Mechanical Engineering, has developed a technology that could transform how industry creates and produces complex metal parts through “lost wax” investment casting. In an ambitious project sponsored by the Defense Advanced Research Projects Agency (DARPA), he has created an all-digital approach that automates how part designs are turned into the real thing. Currently, such metal parts are devised on computers using computer-aided design (CAD) software. But the next step – creating the ceramic mold with which the part is cast – involves a complex 12-step process that uses hundreds of tooling pieces and extensive manual labor. 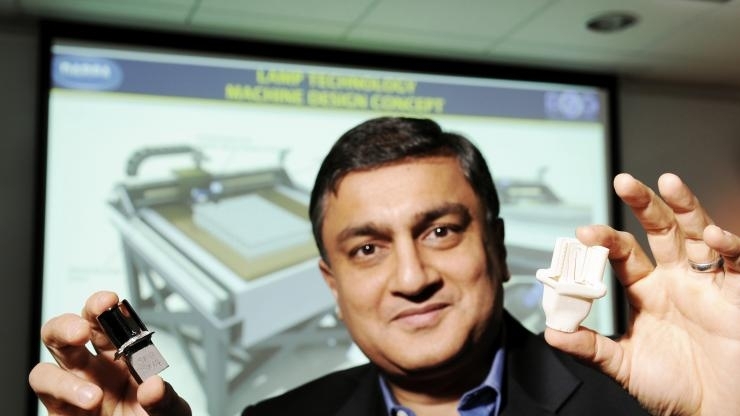 The result is a lengthy, costly and low-yield process that typically produces many scrap parts along with a few usable ones, said Das, who directs the Direct Digital Manufacturing Laboratory in Georgia Tech’s Manufacturing Research Center (MaRC). 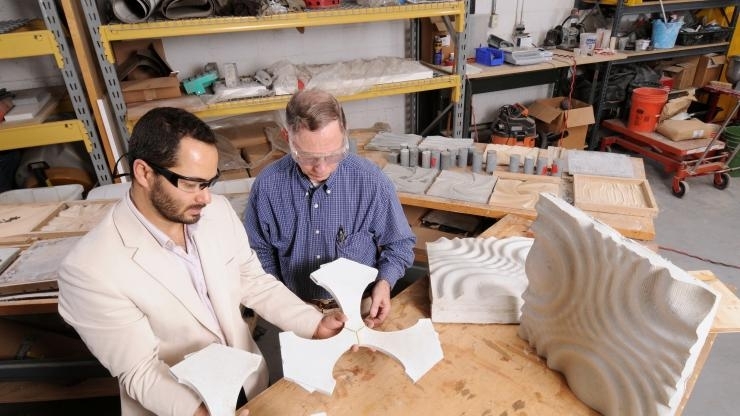 By contrast, the approach used by Das involves building ceramic molds directly from a CAD design. Called large area maskless photopolymerization (LAMP), this high-resolution, direct digital manufacturing technology builds the molds, layer by layer, by projecting patterns of ultraviolet light onto a mixture of photosensitive resins and ceramic particles. After a mold is formed, it is thermally post-processed at high temperatures to burn away the polymer and sinter the ceramic particles. That process forms a structure into which molten metal can be poured for casting. Das is currently working with turbine-engine airfoils – complex parts used in aircraft jet engines – in collaboration with the University of Michigan, PCC Airfoils and Honeywell International Inc. He believes LAMP technology will become pervasive and will be effective in the production of many other types of metal parts. Das said that LAMP can create not only testable prototypes, but could also be used in the actual manufacturing process, facilitating the mass production of complex metal parts at lower costs in a variety of industries. A prototype LAMP alpha machine is currently building six typical airfoil molds in six hours. 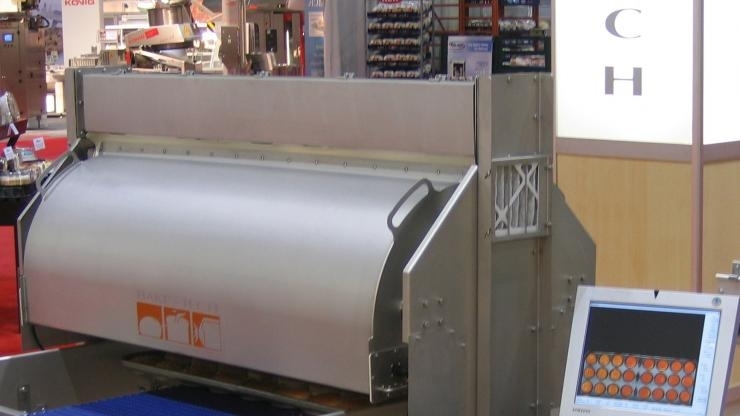 Das predicts that a larger beta machine – currently being built at Georgia Tech and scheduled for installation at a PCC Airfoils facility in Ohio in 2012 – will produce 100 molds in about 24 hours. “When you can achieve those volumes, you have gone beyond rapid prototyping to true rapid manufacturing,” he said. 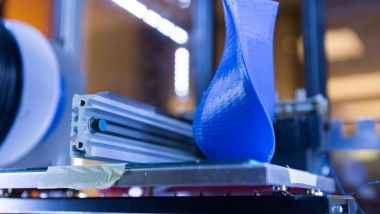 Researchers at the College of Architecture are also helping to automate the process of turning CAD designs into manufactured products. 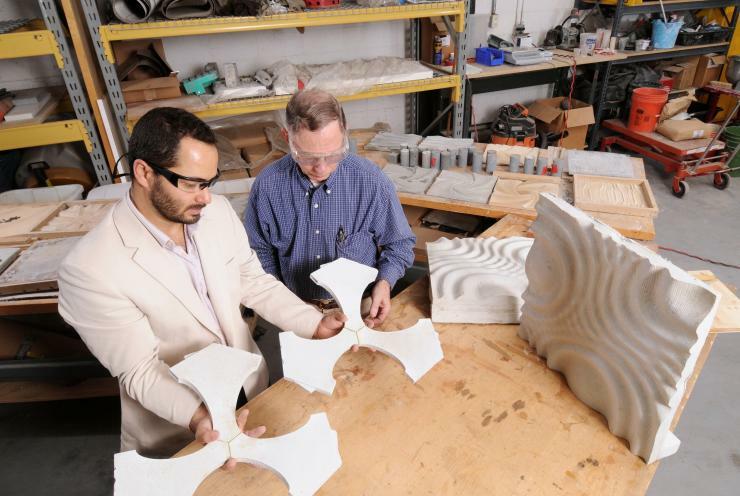 A team in the Digital Building Laboratoryis collaborating with Lafarge North America to develop ways to manufacture customized wall structures directly from parametric digital models. The new process involves custom-molding entire curtain walls from rubber negatives to produce a unitized system called the “Liquid Wall,” constructed with Ductal®, Lafarge’s ultra-high-performance concrete (UHPC), and stainless steel. The Liquid Wall, created by Peter Arbour of RFR Consulting Engineers and collaborator Coreslab Structures Inc., won the 2010 AIANY Open Call for Innovative Curtain-Wall Design. 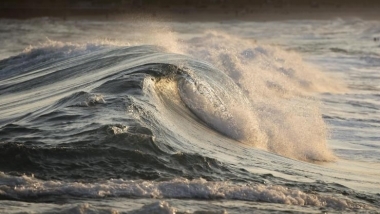 The Liquid Wall approach is challenging, explained professor Charles Eastman, who is director of the Digital Building Laboratory and has a joint appointment in the College of Computing. The process involves creating rubber negatives using wall-form designs created with parametric modeling software, then planning production procedures and mapping out ways to install the completed, full-size walls on actual buildings. 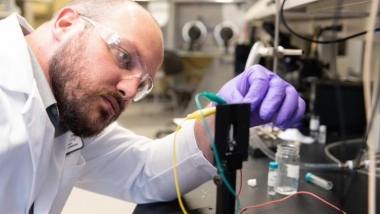 “When you’re creating a completely new process like the Liquid Wall, you’re faced with developing a whole new manufacturing process for this kind of material,” Eastman said. Industrial designer Kevin Shankwiler, an associate professor in the College of Architecture, creates objects that can be both customized and mass-produced. By utilizing advances in flexible manufacturing technology, Shankwiler and his students develop furniture designs that can be changed to meet individual needs – such as those of persons with disabilities – while being built cost-effectively using mass production methods. Today’s designers can build responsiveness to individual needs into the computer models used in production, Shankwiler said. Current manufacturing methods – such as computer-numerically-controlled (CNC) and 3-D printing techniques – are capable of creating furniture and other goods that can meet users’ specific requirements without resorting to an institutional look. J. Rhett Mayor, an associate professor in the School of Mechanical Engineering, is investigating techniques that allow effective machining of metal surfaces at 50 microns – one 2,000ths of an inch – or less. 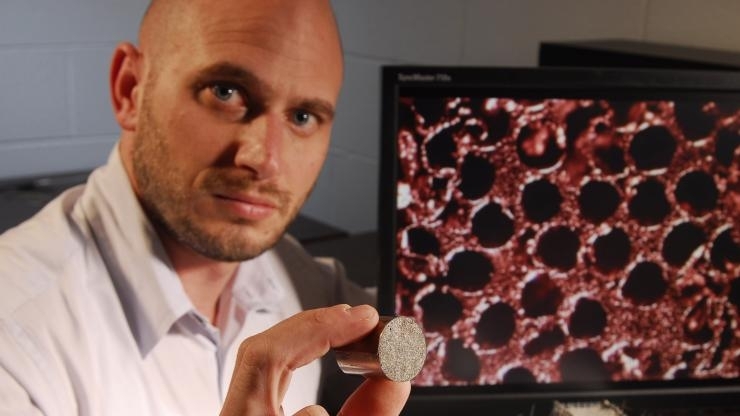 He is also developing unique applications based on advanced micro-machining, such as tiny channels in metal that enhance heat transfer between surfaces. At present, Mayor explained, the ability to cut micro-features into surfaces is limited to metal sections about 1 centimeter square, a size that offers little cooling capability. Research being conducted by Mayor and his group focuses on scaling up micro-machining capabilities so that micro features can be cut in larger metal sheets. One type of micro-scale feature – micro-channel heat exchangers – could play an important role in cooling factory-floor devices, as well as in the development of closed-loop systems that could generate power using recycled heat. For example, today’s factories typically use large electrical motors that vent their heat inside the plant, wasting energy. In related work, Mayor and his team are developing optimization routines and thermal models that could enhance electrical machine design through the application of micro-machining and other technologies. The aim is to create machines that are smaller, yet offer high energy outputs thanks to more efficient cooling and to energy recycling. Another application of large scale micro-machining could involve the development of lightweight electric actuators that would take the place of hydraulics in aircraft. Such electric actuators would need plenty of power to replicate the high torque provided by hydraulics; those power requirements would demand effective cooling strategies. 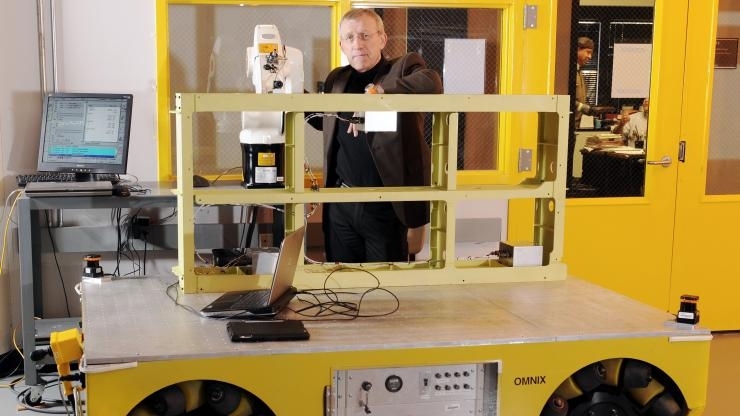 Henrik Christensen, a professor in the College of Computing, is working with the Boeing Company to advance robotic manufacturing in the aircraft maker’s facilities. In one project, Christensen and his team are working on an initiative that makes fundamental changes to how pieces are handled on the factory floor. In this approach, robots reverse the standard procedure by moving processing machines to a given part, rather than moving the part through an assembly line. The team is employing a movable platform in the MaRC building that supports a robotic processing machine. Tests have already been performed using mobile painting and drilling capabilities that could lead to similar implementations at Boeing facilities. Christensen has also developed automation technology that helps Boeing inspect parts and sub-assemblies that arrive from suppliers. The mobile robotic system scans each arriving piece to confirm that it is the correct item and conforms to the stipulated dimensions. The technology allows Boeing to identify shipping errors almost immediately, before the mistake can delay production. It also saves on labor costs and allows workers to be assigned to less routine tasks. The Boeing projects are part of the Aerospace Manufacturing Initiative (AMI), which was established in 2008 when Boeing identified Georgia Tech as a strategic university partner and agreed to collaborate on innovative manufacturing technologies for aerospace products. 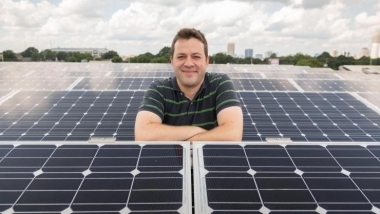 The AMI, which involves multiple research projects across Georgia Tech, is led by Steven Danyluk, who is the Morris M. Bryan Jr. Chair in Mechanical Engineering for Advanced Manufacturing Systems. Since 2008, Siemens USA and CAMotion Inc. have also become AMI participants. In another project just getting launched with a major French manufacturing company, Christensen is pursuing novel technology that would allow a factory-floor robot to learn tasks via direct human demonstration. Rather than having each robotic operation mapped out laboriously on a control computer, a worker would demonstrate the optimal way to perform a job and the robot would then mimic the human. 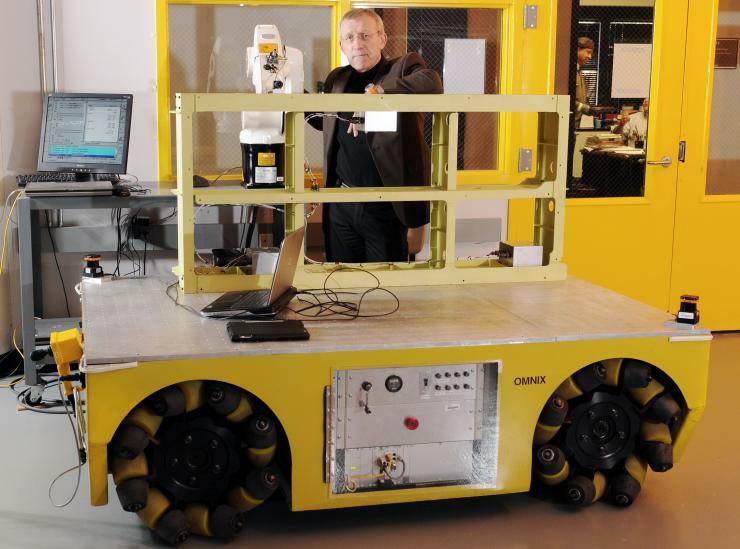 This human-model approach to robotic learning could have applications across a number of industries, he added; both Boeing and General Motors have expressed interest in the technology. Other application areas for this technique include health care and biotechnology, where it could help automate both manufacturing procedures and laboratory testing. Jianjun (Jan) Shi, a professor in the H. Milton Stewart School of Industrial and Systems Engineering (ISYE), conducts research that addresses system informatics and control. 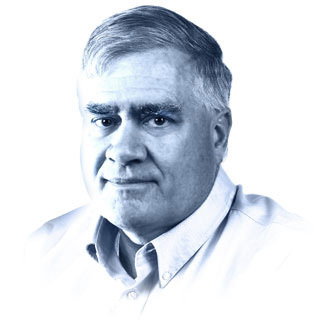 He uses his training in mechanical and electrical engineering to integrate system data – comprising design, manufacturing, automation and performance information – into models that seek to reduce process variability. 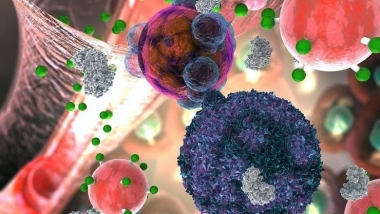 In one effort, Shi is working with nGimat Co., a Norcross, Ga.- based company that is currently evaluating ways to mass produce a type of nanopowder used in high-energy, high-density batteries for electric cars. 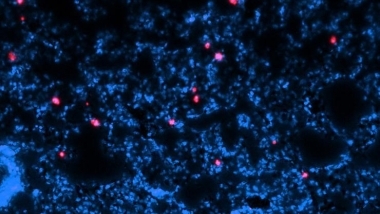 With sponsorship from the Department of Energy (DOE), Shi is supporting nGimat as it works to increase nanopowder output by several orders of magnitude. In work focusing on the steel industry, Shi is pursuing multiple projects including the investigation of sensing technologies used to monitor very high temperature environments in steel manufacturing. With DOE support, he is working with OG Technologies Inc. to develop methods that use optical sensors to provide continuous high-speed images of very hot surfaces – between 1,000 and 1,450 degrees Celsius. In another project, sponsored by the National Science Foundation (NSF), Shi is investigating ways to use process measurements and online adjustments to improve quality control in the manufacturing of the silicon wafers used in semiconductors. He is working with several manufacturers to examine the root causes of undesirable geometric defects in wafer surfaces. 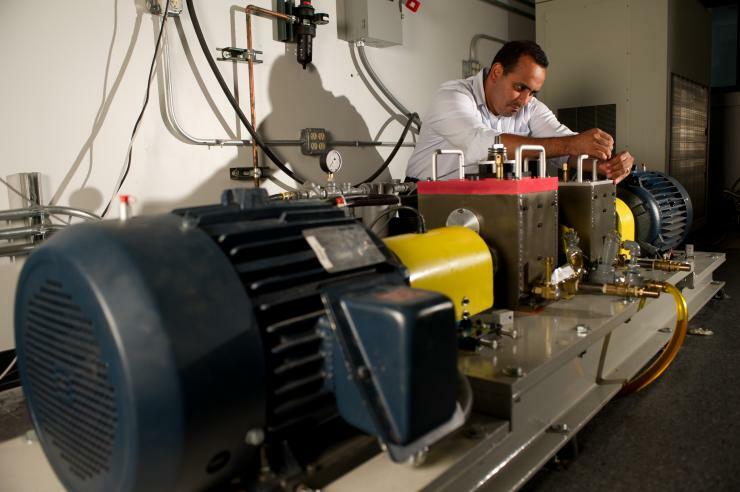 Nagi Gebraeel, an associate professor in the School of Industrial and Systems Engineering, conducts research in detecting and preventing failure in engineering systems as they degrade over time. The goal is to avoid both expensive downtime and unnecessary maintenance costs. With National Science Foundation (NSF) funding, Gebraeel has examined some of the key challenges in accurately predicting failures of complex engineering systems. Specific challenges include the ability to account for the uncertainty associated with degradation processes of these systems and their components, the effects of future environmental/operational conditions, and the dependencies and interactions that exist in multi-component systems. In one project, Gebraeel and his team worked with Rockwell Collins, a maker of avionics and electronics, to monitor and diagnose the performance of circuit boards that control vital aircraft communications systems. 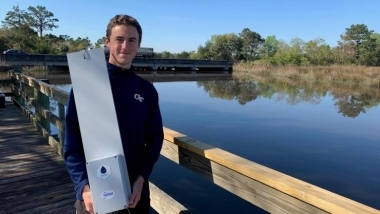 With equipment funding provided by Georgia Tech, Gebraeel has developed an adaptive prognostics system (APS), a custom research tool that allows him to investigate how quickly components degrade under stresses, using sensor-detected signals such as vibration. “There’s a real need for information about the remaining life of components, so that users can find the economical middle ground between the cost of scheduled replacements and the cost of failure,” he said. Three faculty members in the School of Industrial and Systems Engineering – Shabbir Ahmed, George Nemhauser and Joel Sokol – recently completed a project supporting a major maker of float glass. The manufacturer was automating a process in which finished glass plates are packed for shipment. The company was concerned that new machines – which pick up and remove glass from the production line – might fall behind, allowing valuable plates to be damaged. They wanted the capability to carefully schedule production sequences so the machines could function at maximum capacity without wasting plates. The team tackled development of new software that could minimize production problems. They devised algorithms that allowed the machines to work at their maximum efficiency and enabled them to handle input data with more than 99 percent efficiency. “The algorithms we delivered can also be used strategically, to determine how many machines of each type should be installed on a production line,” Sokol said. Sokol, Nemhauser and Ahmed are also collaborating on a project with a large international corporation to support production throughput at a semiconductor manufacturing facility. The challenge involves the physical movement of semiconductors from one processing station to another throughout the factory. Because the routing of semiconductors between processing machines can differ from item to item, there’s no linear assembly line procedure; instead, hundreds of automated vehicles pick up items from one processing point and move them to the next step. Due to the facility’s layout, these automated vehicles often encounter congestion that can delay the production schedule, said Nemhauser, who is the A. Russell Chandler lll Chair and Institute professor. The team is developing methods to best route and schedule the vehicles to minimize congestion and to move items between machines in ways that don’t delay production. 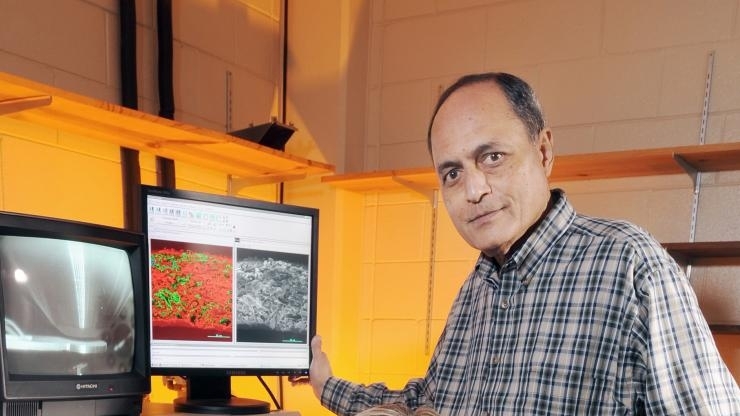 Shreyes Melkote, who is the Morris M. Bryan Jr. professor in mechanical engineering, directs the Precision Machining Research Center, one of numerous centers based in MaRC. Melkote researches precision manufacturing issues in several areas, including the production of precision metal parts and photovoltaic substrates. In a project sponsored by The Timken Company, Melkote is investigating methods for faster and more efficient machining of hardened steel materials using a hybrid process called “Laser Assisted Hard Machining.” Results from successful machining trials have demonstrated that this hybrid process has the potential to reduce machining time as well as cutting tool cost by prolonging tool life. In a Boeing-sponsored project, Melkote is developing thin-film sensors capable of monitoring high-speed machining operations. The goal is to give operators in-depth feedback for more effective control of high-speed rotating machines used to produce aerospace parts. 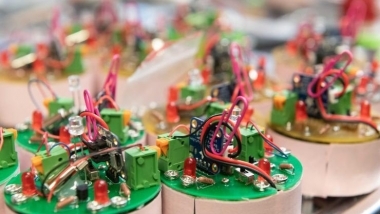 Traditional piezoelectric sensors are costly and unreliable, Melkote said, and installing them on a given machine can alter its dynamic characteristics. By contrast, sensors made from low-cost piezoelectric polymer film can be attached to a rotating device without affecting its operation. A patent application is being filed on this sensor technology. 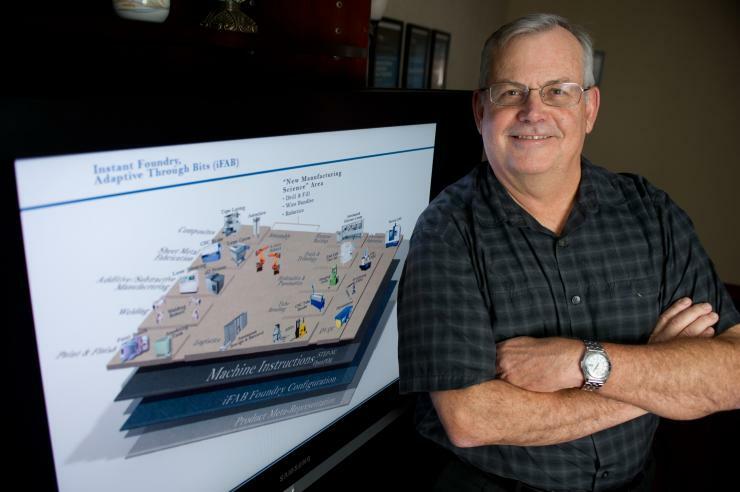 Professor Leon McGinnis of the School of Industrial and Systems Engineering focuses on model-based systems engineering, an approach that uses computational methods to enable capture and reuse of systems knowledge. McGinnis is pursuing several sponsored projects in this area. 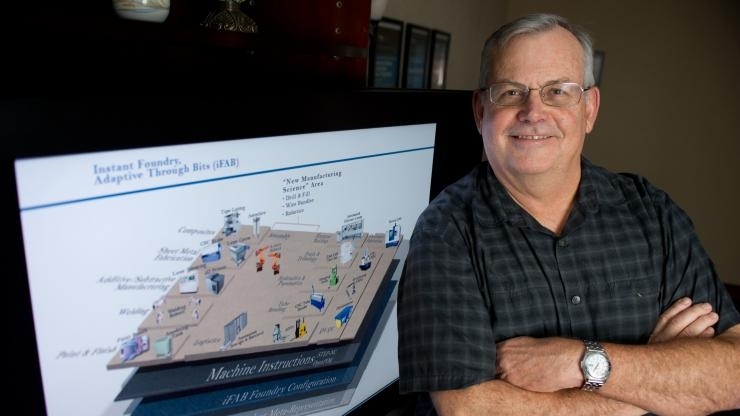 In one effort, McGinnis and his team have been working with Rockwell Collins, a maker of avionics and electronics, to help speed the introduction of new products by automating a process that simulates the requirements of production. To optimize the resources needed to make products at the required rate, McGinnis explained, Rockwell Collins creates a computerized simulation of the manufacturing processes. Development of these models has traditionally been the province of experts skilled in taking initial system designs and painstakingly translating them into simulations of actual production. To understand the process of developing simulation models, a team interviewed the Rockwell Collins experts on the methods they used to develop such models. Then the Georgia Tech researchers turned to SysML, a programming language that enables the computerized modeling of complex systems, including multiple related factors such as people, machinery and product flows. By using SysML to describe the evolution of a given product, the researchers were able to automate its movement from design to simulation. Even more important, the team created a domain-specific version of SysML that was customized to the Rockwell Collins environment. That achievement allowed any of the company’s new products and systems to be plugged into a SysML-based automation process. 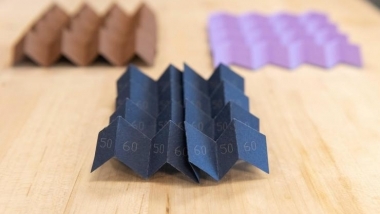 This new way of doing things appears to reduce the time required to build simulation models by an order of magnitude, said McGinnis, who leads the Model-Based Systems Engineering Center in MaRC. 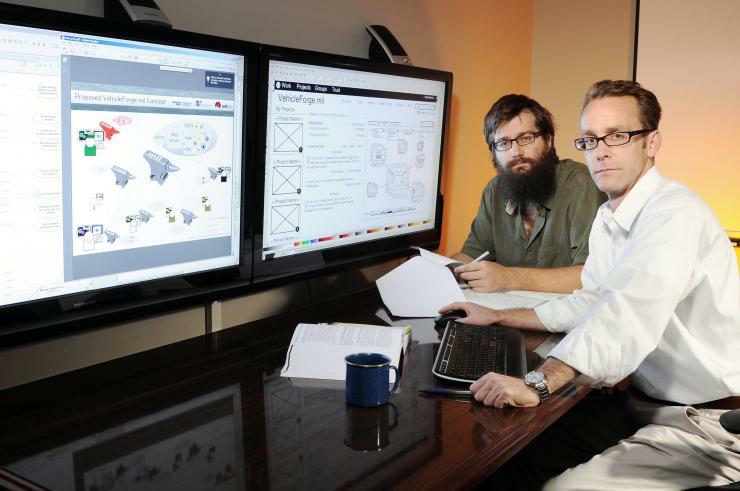 In another project, McGinnis and his team are collaborating with the School of Mechanical Engineering and MaRC to develop semantics for manufacturing processes under a DARPA contract. In other work, McGinnis is collaborating with the Tennenbaum Institute – a Georgia Tech organization that supports research for enterprise transformation – to address the challenges of identifying and mitigating risks in global manufacturing enterprise networks. A research team from the Georgia Tech Research Institute (GTRI) is working with the General Motors Co. to develop novel sensor and computer technologies for manufacturing. The project, known as the Factory of the Future, seeks to establish a manufacturing model based on approaches and technologies that are largely new to factory design and processes. Among other things, the researchers are investigating the use of biologically inspired software algorithms to help maximize plant floor efficiency. “The future factory is one with an extremely agile environment, allowing the manufacturing plant to be reconfigured in real time to meet the objectives for production,” said Gisele Bennett, director of the Electro-Optical Systems Laboratory at GTRI. At the heart of this process improvement approach is a robust combination of sensor and intelligent algorithm technologies, said Bennett, who is leading the project. The resulting optimization algorithms would utilize asset visibility of supplies, machines and vehicle-assembly status to optimize the manufacturing process, based on current requirements that could include energy savings, throughput or cost. The goal is a broad, centralized view of all aspects of the manufacturing process, available in real time. This big-picture capability could lead to greater efficiency and productivity due to improved routing, inventory control and visibility into the health of the manufacturing equipment. A multidisciplinary team of Georgia Tech researchers is taking part in the Adaptive Vehicle Make (AVM) program. The four-year DARPA program, announced in the first half of 2011, fosters novel approaches to the design, verification and manufacturing of complex defense systems and vehicles. 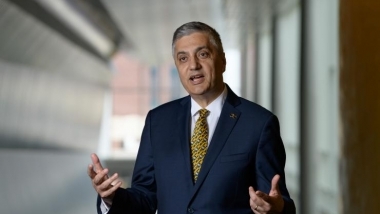 Funding for Georgia Tech’s share of the work is expected to exceed $10 million. The AVM effort consists of three primary programs: META, Instant Foundry Adaptive through Bits (iFAB) and Fast Adaptable Next-Generation Ground Vehicle (FANG). FANG includes the vehicleforge.mil project and the Manufacturing Experimentation and Outreach (MENTOR) effort. Georgia Tech is collaborating with Vanderbilt University on the META program and the related Component, Context, and Manufacturing Model Library (C2M2L) program. Led by professor Dimitri Mavris, director of the Aerospace Systems Design Lab, and research engineer Johanna Ceisel, Georgia Tech’s META effort focuses on dramatically improving the existing systems engineering, integration and testing processes for defense systems. Rather than utilizing one particular alternative technique, metric or tool, META aims to develop model-based design methods for cyber-physical systems that are far more complex and heterogeneous than those in use today. Shreyes Melkote, a professor in the School of Mechanical Engineering, leads an iFAB team that is developing manufacturing-process capabilities and model libraries to enable automated planning for the design and manufacture of military ground vehicles. A GTRI team led by Vince Camp is also supporting iFAB, providing process guidance for development of the libraries. In addition, researchers from four Georgia Tech units, along with companies InterCAX LLC and Third Wave Systems Inc., are supporting this iFAB effort. 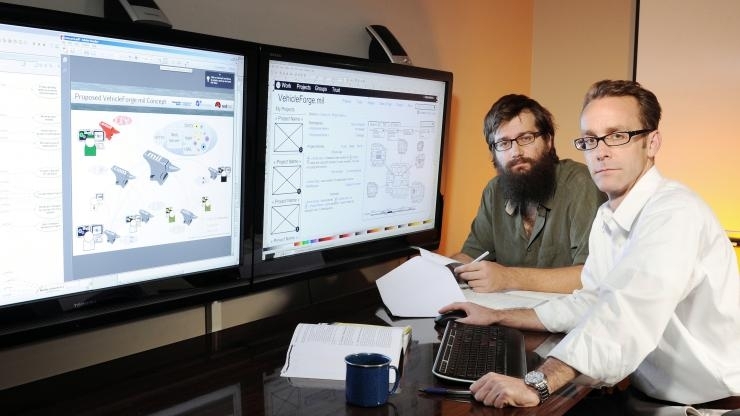 The vehicleforge.mil project, led by GTRI researchers Jack Zentner and Nick Bollweg, is creating a secure central website and other web-based tools capable of supporting collaborative vehicle development. The core website – vehicleforge.mil – would allow individuals and teams to share data, models, tools and ideas to speed and improve the design process. The C2M2L model library is part of the overall effort. C2M2L seeks to develop domain-specific models to enable the design, verification and fabrication of the FANG infantry fighting vehicle using the META, iFAB and vehicleforge.mil infrastructure. The MENTOR effort will engage high school-age students in a series of collaborative design and distributed manufacturing prize-challenge experiments, with the goal of inspiring America’s manufacturing and technology workforce of tomorrow. DARPA envisions that the prize challenges will include up to 1,000 high schools in teams distributed across the nation and around the world, using computer-numerically-controlled (CNC) additive manufacturing machines – also known as 3D printers. The goal is help students collaboratively design and build systems of moderate complexity, such as mobile ground and aerial robots and energy systems. MENTOR is led by professor Daniel Schrage of the School of Aerospace Engineering and director of the Integrated Product Lifecycle Engineering Laboratory, and by professor David Rosen of the School of Mechanical Engineering, who is also director of the Rapid Prototyping & Manufacturing Institute in MaRC. Vinod Singhal, who is the Brady Family Professor of Operations Management in the College of Management, investigates supply chain disruptions and their relation to corporate performance. In one project, he is evaluating recent disruptions at manufacturing companies and other businesses, where he documents the magnitude of drop in stock prices, loss of revenue and increase in costs due to supply chain disruptions. Singhal has developed a detailed framework that helps enterprises manage their supply chain risks. His research instructs companies on how to prioritize risks, making supply chain vulnerabilities more visible and ensuring that top management learns to recognize the issue as critical to corporate success. In the College of Management, Regents’ professor Cheryl Gaimon studies technology management in manufacturing and service enterprises. In one study, Gaimon and former Ph.D. student Alysse Morton analyzed the value of flexibility in high-volume manufacturing of products with short life cycles, such as computer components. The researchers developed a model showing how companies could link internal manufacturing capabilities with swiftly changing external market forces. They demonstrated how these businesses could exploit manufacturing efficiencies, early market entry and quick shifts between product generations, combined with optimal pricing policies. “Our results demonstrated that firms need to work closely with their equipment suppliers to achieve more flexible technology, and that even a less-efficient facility can realize a long-term competitive advantage through an earlier market-entry strategy,” Gaimon said. Assistant Professor Manpreet Hora of the College of Management conducts research in several areas of business and manufacturing, including the recall of products such as automobiles. In a recent study, he looked at the risks that can sometimes be created by today’s lean manufacturing methods. In studying automotive recalls, Hora discovered that because companies often share components across multiple vehicle lines to maintain lean practices, a potential defect in such components can greatly increase the cost and the magnitude of a recall. He concluded that increased quality checks of shared and critical parts are essential in lowering the impact of quality failures from recalls. In a project sponsored by EADS North America, a large aerospace and defense company, GTRI researcher Jason Nadler tackled the problem of helping the manufacturer reduce noise produced by commercial and military jet aircraft. Nadler and his team used innovative materials that make possible a new approach to the physics of noise reduction. They found that honeycomb-like structures composed of many tiny tubes or channels can reduce sound more effectively than conventional methods. Nadler’s research involves broadband acoustic absorption, a method of reducing sound that doesn’t depend on frequencies or resonance. Instead of resonating, sound waves plunge into the channels and dissipate through a process called viscous shear. 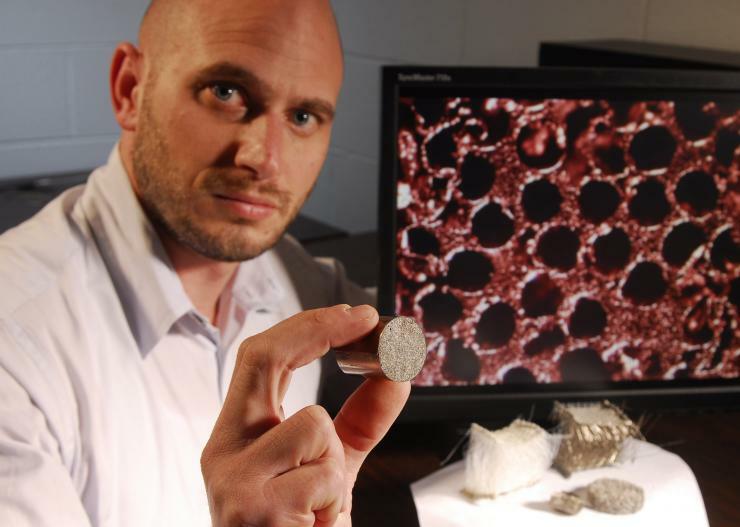 He has developed what could be the world’s first superalloy micro honeycomb using a nickel-based superalloy. He estimates that this new approach could provide better sound attenuation than any acoustic liner currently available. 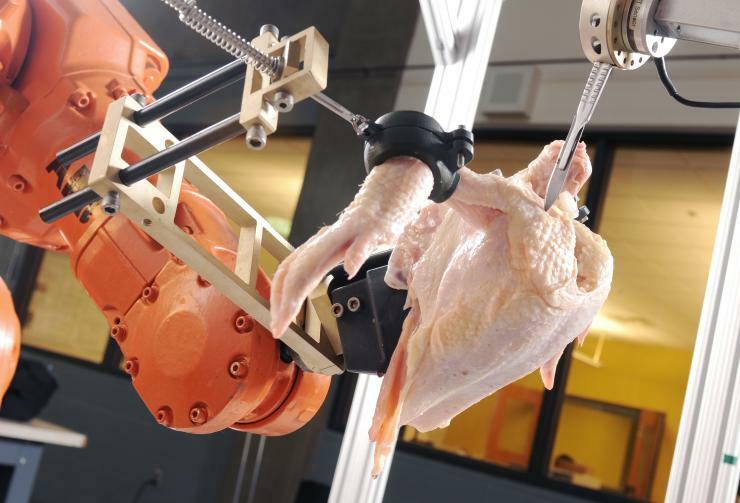 The Food Processing Technology Division of GTRI performs a broad spectrum of research for the food industry, including numerous projects that support the state’s nearly $20 billion poultry industry. Research areas include advanced imaging and sensor technologies; robotics and automation systems; environmental and biological systems; food and product safety research; and worker safety research. 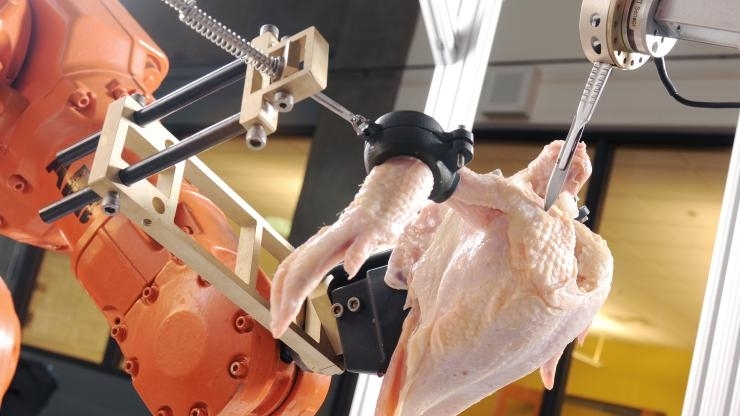 In one project, GTRI researchers are employing image processing, statistical modeling, modeling of biomaterials and high-speed force control to bring automated chicken deboning to poultry processors. The Intelligent Deboning System aims to match or exceed the efficiency of the manual process. Initial tests of the deboning prototype system, including cutting experiments, have shown the system’s ability to recognize bone during a cut and thus avoid bone chips. The work has demonstrated the validity of GTRI’s approach. 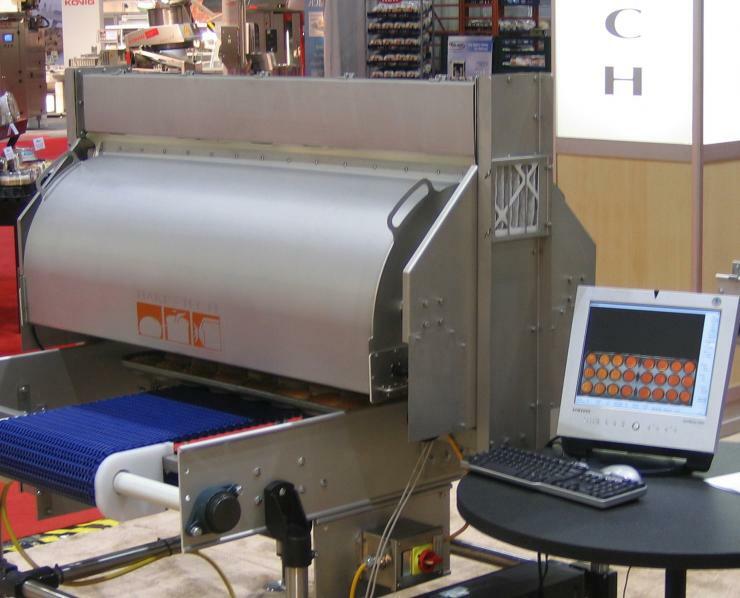 GTRI has developed a production line system that automatically inspects the quality of sandwich buns exiting the oven and adjusts oven temperatures if it detects unacceptable products. Working with baking company Flowers Foods and AMF/BakeTech, a baking equipment manufacturer, GTRI researchers Douglas Britton and Colin Usher have tested their industrial-quality prototype system. Made of stainless steel, the system is dust-and-water-resistant, and mounts on existing conveyor belts as wide as 50 inches. The researchers tested the system in a Flowers Foods bakery. The GTRI Materials Analysis Center (MAC), led by Lisa Detter-Hoskin, supports manufacturers and other groups using advanced analytical tools and methodologies that address materials characterization, failure analysis and corrosion issues for manufacturers and other companies. MAC annually manages research projects and evaluates samples for hundreds of corporations and agencies. For example, the center supports CE-Tech LLC of Alpharetta, Ga., in numerous areas, including conducting analyses of competitive products and resins. The objective is to lower raw-material costs for CE-Tech clients through the substitution of lower-cost resins. In another instance, GTRI works with Fairfield, Conn.-based Acme United Corp., a maker of cutting, measuring and safety products, to evaluate the chemistry and structure of new surface coatings. In one project, GTRI personnel tested a proprietary Acme United physical vapor deposition technology used to impart a hard outer shell onto steel blades. 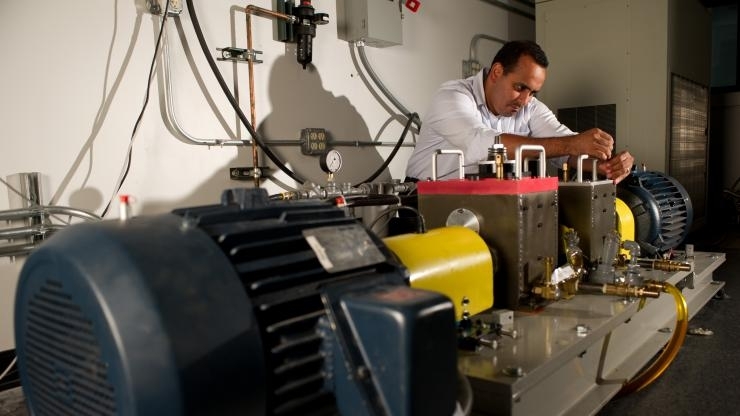 GTRI’s Electromagnetic Test and Evaluation Facilities (EMTEF) and Electromagnetic Phenomenology Laboratory test facilities provide ongoing research and support for manufacturers. Both commercial customers and the U.S. government use these assets to aid design and manufacture of antennas and antenna-related sensors for wireless systems, cell and base station antennas, aircraft antennas and related applications. “These multi-purpose ranges allow antenna manufacturers or design engineers to confirm modeling designs, diagnose performance problems, and to confirm performance against advertised specifications,” said GTRI researcher Barry Mitchell. In one past instance, Mitchell recalls, a maker of aircraft weather radar was encountering problems with false alarms coming from wind-shear detection systems in flight. A GTRI team tested a waveguide antenna array on a planar near-field range belonging to the research institute, and the resulting aperture holograms revealed leakage points from brazed joints on the array. Eventually the problem was traced to a defect in the dip-brazing process during manufacturing, enabling corrective measures. School of Mechanical Engineering professor Bert Bras, who leads the Sustainable Design and Manufacturing (SDM) Program in the MaRC, focuses on reducing the environmental impact of materials, products and manufacturing processes, while increasing their competitiveness. The SDM group gets a large share of its research funding from industry. Together with MaRC research engineer Tina Guldberg, Bras and his group are currently working with Ford, GM and Boeing on projects related to sustainable manufacturing. Much of their work centers on a better understanding of the overall effect of manufacturing operations, as well as potential unintended consequences of product, process and business decisions over their life cycle. One technique developed by Bras and his students involves the inclusion of environmental impact measures such as energy and water consumption in activity-based cost models. In this way, a single assessment model can quantify financial and environmental consequences of manufacturing process choices. With Marc Weissburg, a professor in the School of Biology and co-director of the Center for Biologically Inspired Design, Bras and his team are working on an NSF-funded project focused on the role of biologically inspired design in industrial manufacturing networks. Bras is also collaborating with professor Nancey Green Leigh of the School of City and Regional Planning and professor Steven French of the College of Architecture on an NSF-funded project that studies methods of boosting product and material recovery in urban areas for use in local manufacturing. Leigh and French are also focusing in this grant on quantifying the amount of carpet and electronic waste generated in a metropolitan area and the economic benefits of diverting it from landfills, thereby creating business and job opportunities. 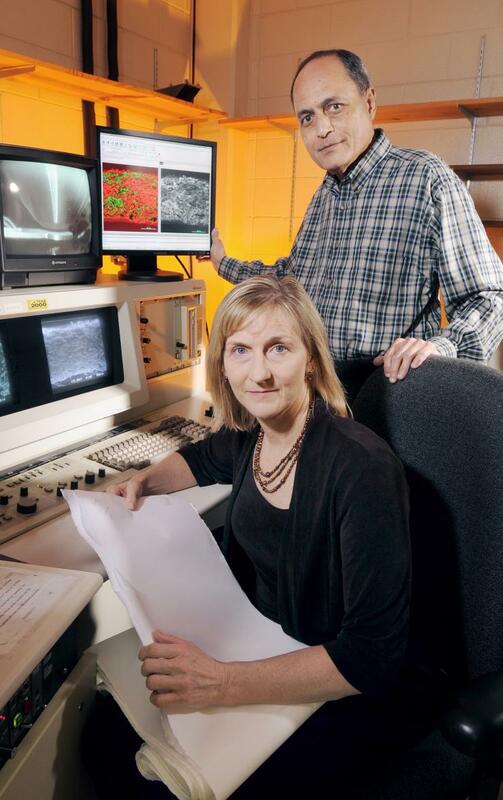 Jane Ammons, who is the H. Milton and Carolyn J. Stewart School Chair in the School of Industrial and Systems Engineering, collaborates on reverse production systems with Matthew Realff, a professor in the School of Chemical & Biomolecular Engineering. For more than 10 years, the team has focused on two important areas: the recovery and reuse of carpet wastes and ways to reduce electronic waste. Ammons, Realff and their teams have developed a mathematical framework to support the growth of used-carpet collection networks. Such networks could help to recycle much of the 3.4 billion pounds of carpet waste currently produced in the United States annually. Research indicates that successful reuse of that carpet has a potential value of at least $850 million, versus a disposal cost of at least $60 million for simply sending it to landfills. In other work, the team is studying the problem of e-waste – unwanted electronic components such as televisions, monitors and computer boards and chips. The e-waste stream includes hazardous materials such as lead and other toxins, yet effective management and reuse of e-components can be profitable. Ammons and Realff have devised mathematical models that address the complexities of e-waste processing, with the goal of helping recycling companies stay economically viable. In a recent project, associate professor Chen Zhou in the School of Industrial and Systems Engineering, working with professor Leon McGinnis, tackled sustainability issues for a major U.S. manufacturer. 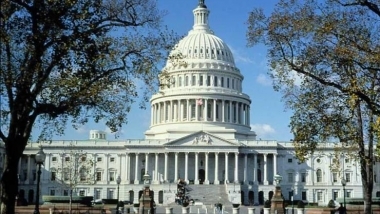 The issue involved shipping gearbox components from China to the United States in ways that would minimize not only cost but also greenhouse gas emissions and waste. It turned out that packaging was at the heart of the issue. The researchers had to configure component packaging so that the maximum number of components could be placed in a cargo container, yet also allow for optimal recycling of the packing materials to avoid waste and unnecessary cost. The team created a model – a globally sourced auto parts packaging system – that optimized cargo container space. The model also enabled the use of packing materials that were fully reusable; some materials went back to China for use in future shipments, while the rest was recycled into plastics for new vehicles. Clearly, Georgia Tech’s broad-based involvement in advanced manufacturing research reflects both the talents of its faculty and the determination of U.S. industry to reinvent itself with the help of university-based research. The United States generates more inventions than the rest of the world combined, and Georgia Tech will continue to work with business and government to help turn the nation’s vast innovative capabilities into an American industrial renaissance. Abby Robinson also contributed to this article.